Double the happiness of your girlfriend/love/daughter for her achievement in studies, job or wish her good luck for any special occasion. In the joy of success, your wish is like a rainbow in the showers of rain. 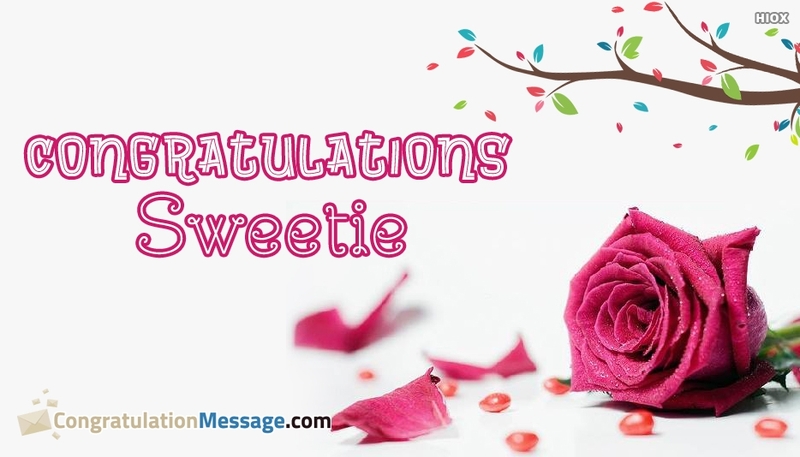 Make her day more colorful by sharing this cute "Congratulations Sweetie" image to your girl. You can also take print out and make it a greeting card.